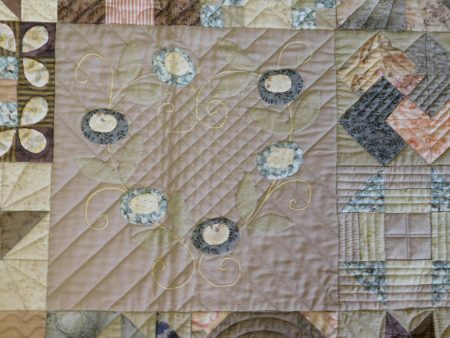 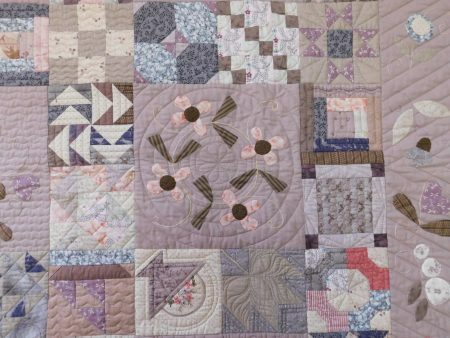 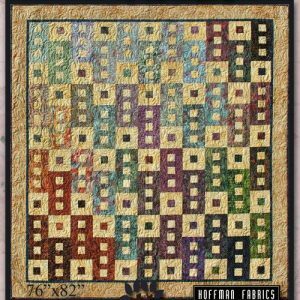 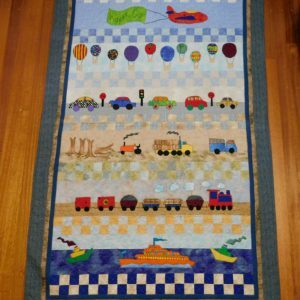 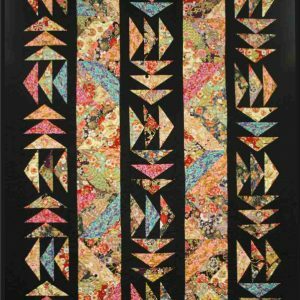 Beautiful quilt pattern, designed by Therese Hylton of Patchwork Pumpkin. 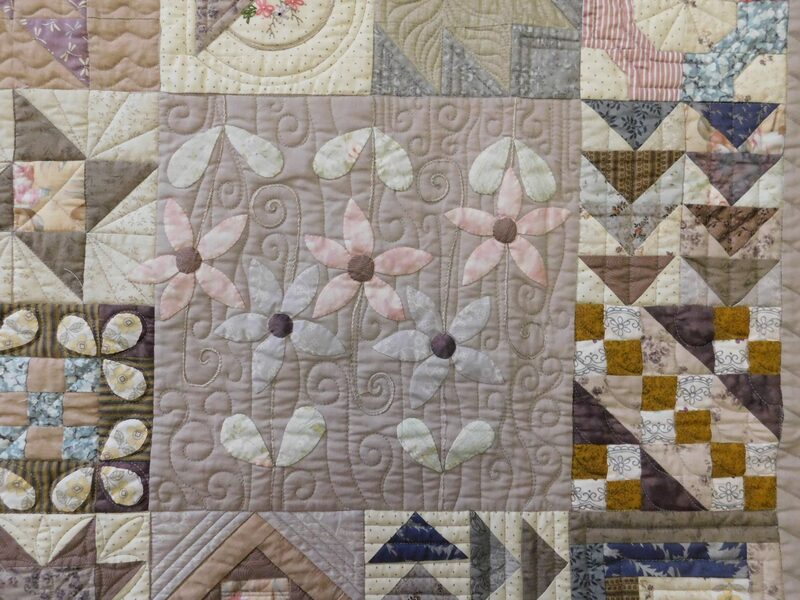 This stunning quilt makes use of beautiful, taupe fabrics, giving the whole quilt a muted hue. 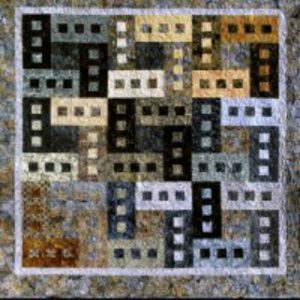 There are many pieced blocks, but none of them are complex – it’s the combination that works the magic. 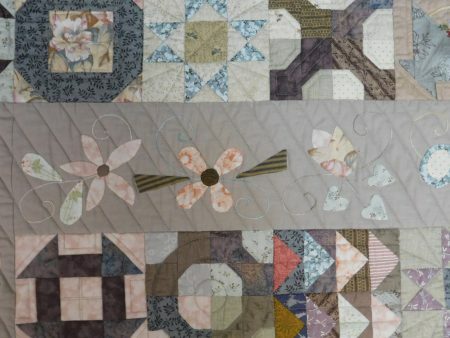 The applique has been done using the needleturn method, and compliments the pieced blocks perfectly. 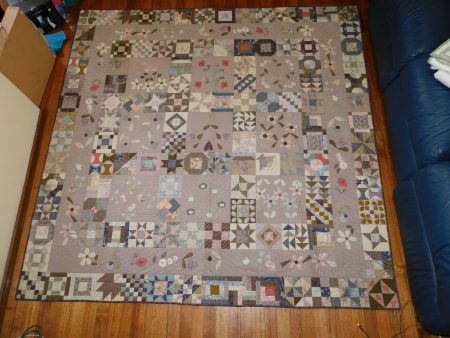 Finished size is 84″ x 84″. Perfect combination of piecing and applique.